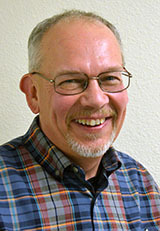 Feb 1, 2019–Scott Netherland, Executive Director of SystemsGo, has announced the addition of Doug Underwood as Regional Coordinator for its new North Texas rocket launch site. The Jack County launch site is the fourth for SystemsGo, the Fredericksburg, Texas-based nonprofit organization that provides curricula and training in science, technology, engineering, and math (STEM) education to high school students. Underwood’s duties will be to help orchestrate site development, recruit volunteers, and identify the area’s infrastructural support, according to Netherland. Underwood retired from Henrietta High School after 27 years of teaching in Texas public schools. He holds a BA in Music Education from Midwestern State University, with post-graduate studies in science, physics, chemistry and the environment at the Universities of Dallas, St. Thomas, Houston, and Texas Arlington. During his involvement with SystemsGo, Underwood has worked as a launch Range Safety Officer, assisted with teacher training, and served on the curriculum review committee. His interests include ham radio, rocketry, travel, and gardening. Doug and his wife, Sandy, have two sons. The inaugural launches from the North Texas site are Friday and Saturday, April 26 and 27, 2019. The new site is located south of Jacksboro, south of FM 2210 and down Gown Ranch Lane. The SystemsGo Aeroscience program started in Fredericksburg High School in 1996. The innovative SystemsGo Studies science, technology, engineering, and mathematics (STEM) curriculum uses inquisitive learning based on a problem and project-based model to invoke and stimulate skills in design, development, testing, analysis, and innovation. The student teams design and build 8-foot and taller rockets. First-year students attempt to send a one-pound payload one mile high. Second-generation projects send rockets past the speed of sound. All launches are open to the public and free. However, all attendees must sign a waiver for access to the site. Details, schedules, directions, and ticket links are available at www.systemsgo.org • info@systemsgo.org • 830-997-3567.